This room type is popular among guests who want to share with friends. 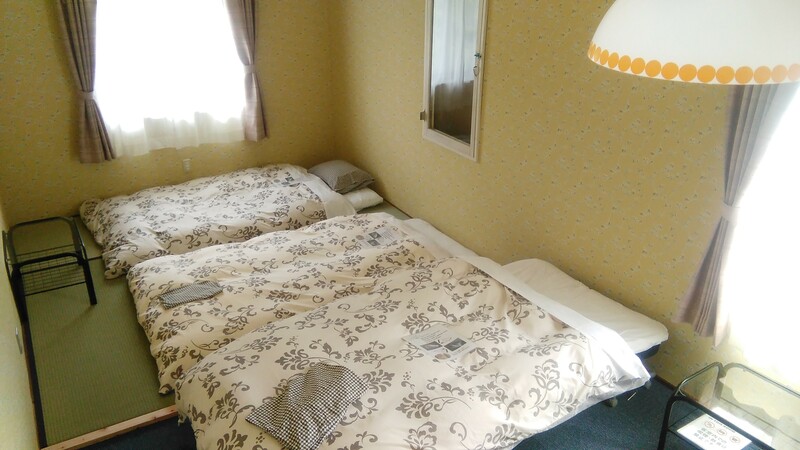 Two single beds as well as two sets of futon bedding on tatami (straw) mats. This is the space for you to relax and enjoy friendly exchanges with other guests. Free Wi-Fi internet access is available in the whole area of our building. Copyright © 2019 大山背包客旅馆 All Rights Reserved.